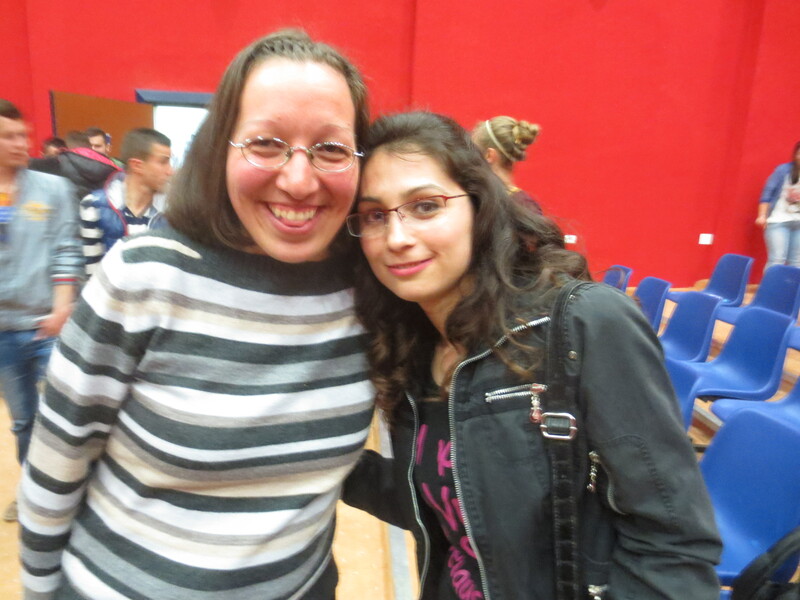 along with Marianna (she is from Ukraine) who was the leader and Lindsay (she is from Texas, USA) who was the co-leader. We had four students on our team who were: Michael and Mitzi (they are married and they are from Texas, USA), Zsuzsa (she is from Romania but she is Hungarian) and Janet (she is from Canada). I must say that I truly loved our team especially to see how God had really unified us as one which made this outreach trip such an amazing time not only for ministry but also in our relationships with each other as well! On Sunday February 22nd we arrived at the Tirana airport in Albania after two short flights from Sibiu, Romania and Munich, Germany. We were all pretty happy and excited when we arrived especially when we got to the YWAM base in Durres because we were able to reunite with Janet since she had already been there two weeks before we got there (she had to go to Albania earlier because of a visa situation so she joined the DTS class there before we arrived). During our time in Durres we stayed at a hotel on the beach that YWAM had rented for their DTS. In the winter time a lot of the hotels are abandoned in Durres, Albania because of the cold weather so this is why YWAM decided to rent it for their DTS. It was a real blessing to be able to be at the Durres base during the time they had their DTS especially to meet their staff and students and also to see how they run their own DTS too. outreach. We were there from Sunday February 22nd to Friday March 20th. When our team was in Durres we served and blessed the base in different areas of ministry during our time there as we spent time in intercession for them, we did practical work duties at the building, ministry activities alongside their DTS class (e.g. in the elderly home and crafts with the children at the public school) and we went to pray for sick children and teenagers at local hospital. Two girls showing their craft at the VBS. week (Neil and Lucie) where we helped co-ordinate a VBS program for younger children and teenagers. During this week we taught the kids the fruits of the Spirit through different lessons and activities including singing lots of fun songs, doing games and crafts with them. 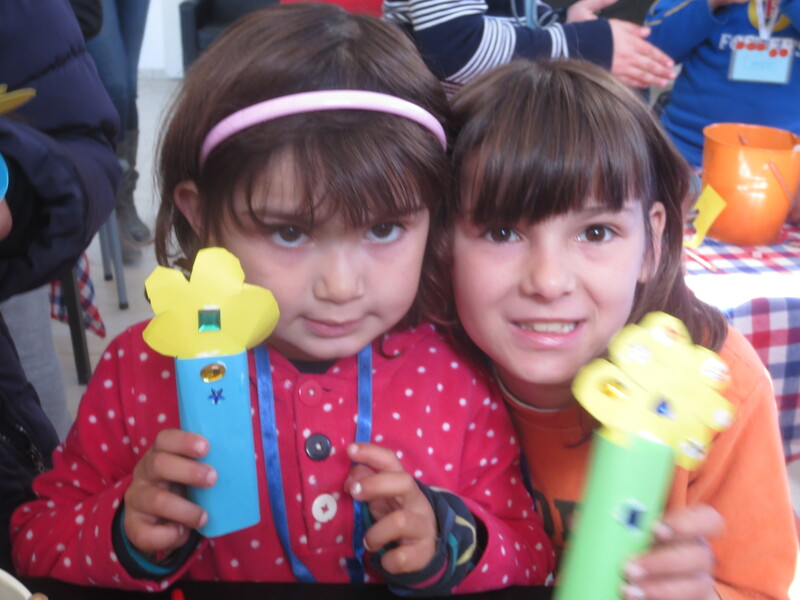 At the end of the week we had a time of celebration with face painting, balloon animals and other fun activities. 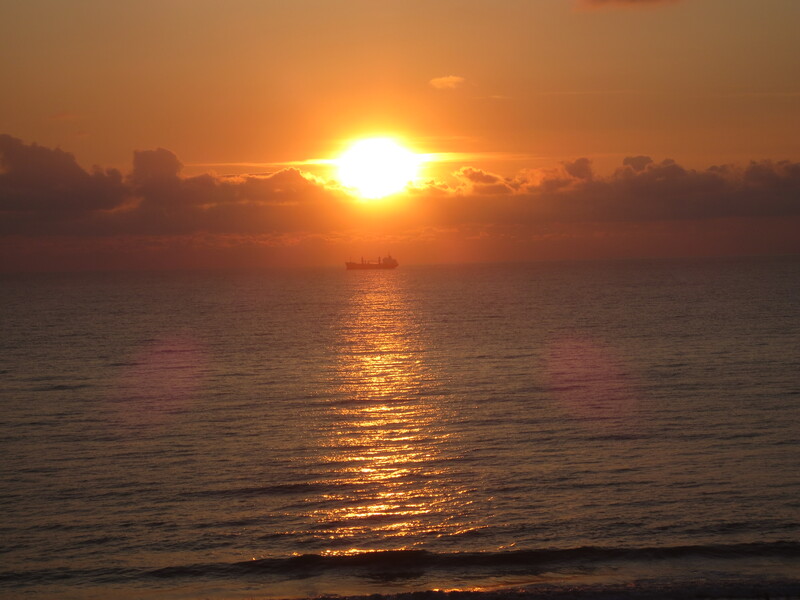 I must say this was one of my favorite weeks during our time that we were in Durres! 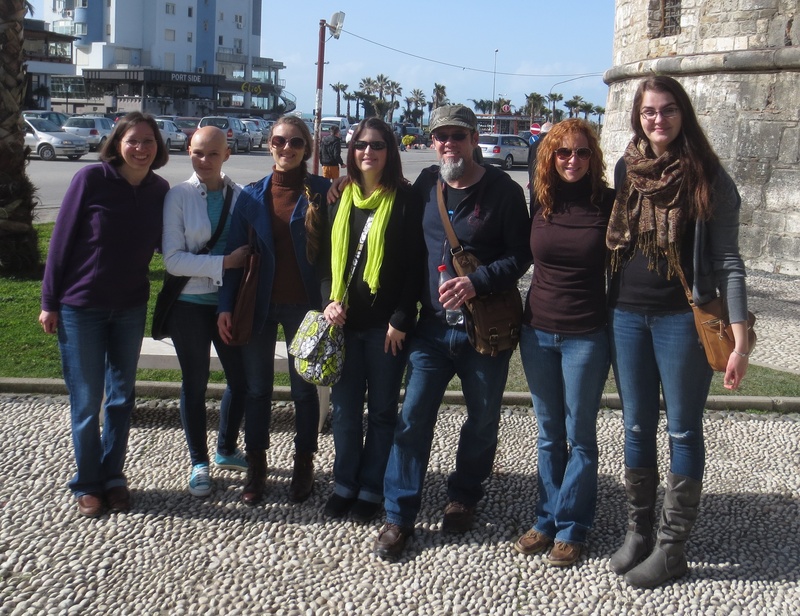 Our team served a local church during our time in Durres. We shared our testimonies, prayed for families on home visits, led a couple of children programs and joined in with their special worship event. We also grew in hearing God’s voice more especially when we had a couple of “Holy Spirit led” ministry days. We did this by spending a couple of times in intercession, waiting on the Lord and then we went out and did what God spoke to us to do in the community as we did random acts of kindness to the people that God led us to. During our time in Durres we also had two fun tourist days in Kruja and Tirana which was such a blessing to visit and see other places in the country. I think the biggest accomplishment we learned during our time in Durres was to function as a team both as a group and in the ministry especially as we truly discovered and learned what unity really means. Dinner with our new contacts in Elbasan! the outreach. 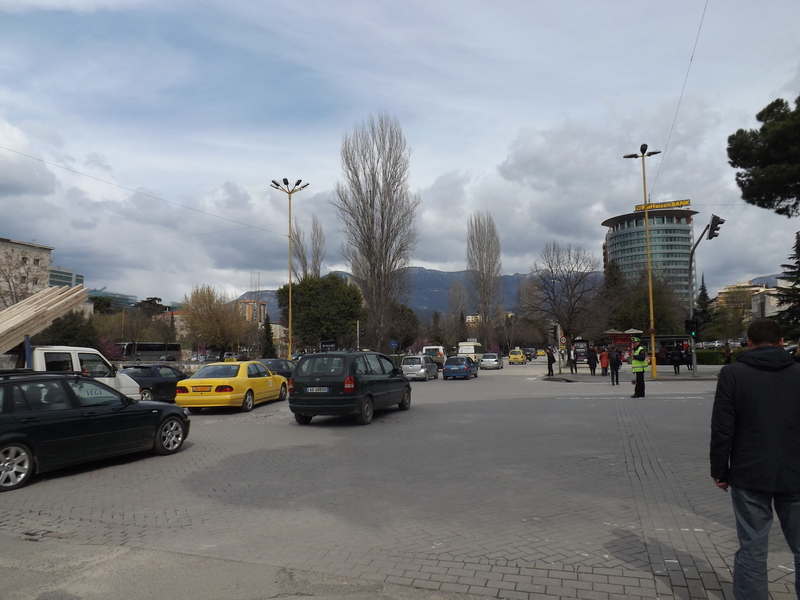 We took a van from Durres to Elbasan after lunch on Friday March 20th after saying good-bye to our new friends and we stayed there until the early afternoon of Sunday April 5th. During our time in Elbasan our primary focus was to serve and be a blessing to an Albanian missionary family who are currently working there by themselves. Ilir and Ola and their three young daughters were such a blessing to serve with during our time there. They are truly such an incredible family! One of the boys enjoying his lunch. 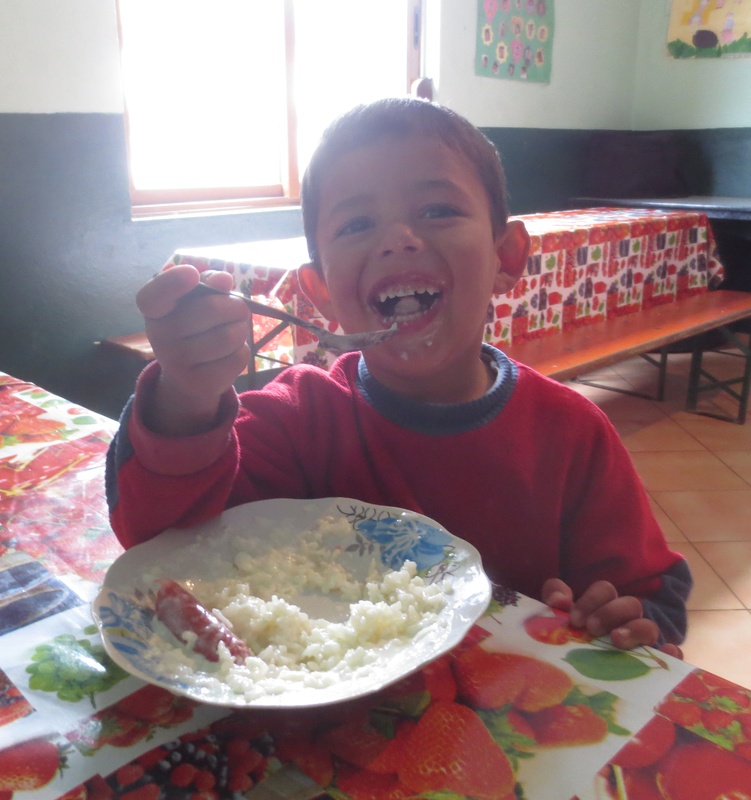 ministry at this location is to reach out to the Roma gypsy church and the community through a weekly feeding program with the children, to do family visits, prayer ministry in the church and a church service on Sundays. Our team was very involved with the feeding program especially with doing a VBS program for the children before lunch was served and we were also involved with all of the other activities and ministries at the base too. Our team had noticed through our interactions with the children, teenagers and adults that over the two weeks we were there the people had opened up to hear the gospel more, to receive prayer ministry more through the relationships that were built during our time we were there. 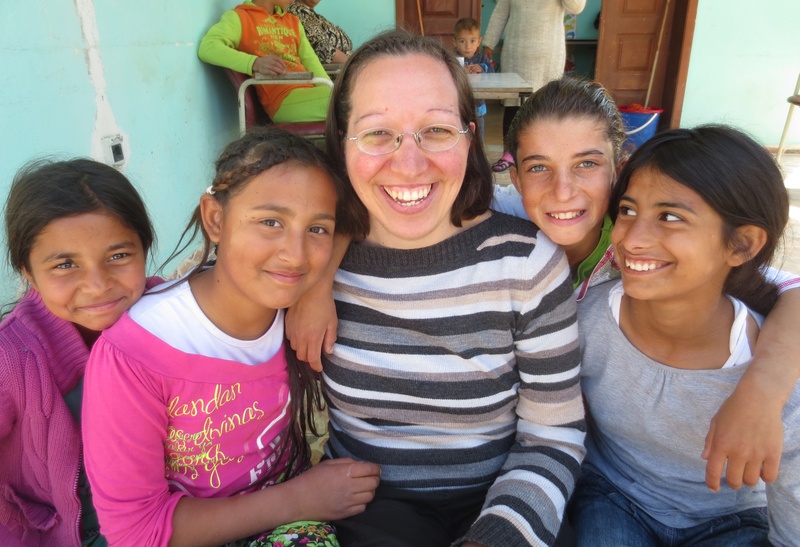 I personally really enjoyed reaching out to this Roma gypsy community during the time we were there and it definitely reminded me of when I used to work with the children and the families at the Sabolciu gypsy village in Romania when I used to live in Oradea. I am with one of the students here. were to reach out and share the love of Christ with the university students through the Campus Crusade ministry through the different activities we did with them (e.g. small groups, volleyball competition and a dance competition). During the interactions and the time we spent with the university students we had noticed how they had opened up themselves to hear the gospel by expressing interest in asking questions to us about their faith and why we had come to Albania. Our team had also went to a mental hospital where we showed the patients Christ’s love through a practical way of giving them care packages for Easter, by spending time with them and there was also a message of hope that was preached and worship songs that were sung as well. Overall I think the biggest accomplish our team had grew in during our two weeks in Elbasan was we had grown much deeper in their unity as a team especially in our relationships with each other and understanding each other. We also had grown in learning to continue to learn to hear God’s voice, and then to step out more of what God had led us to do and to try new things even if it had stretched us beyond our comfort zone. 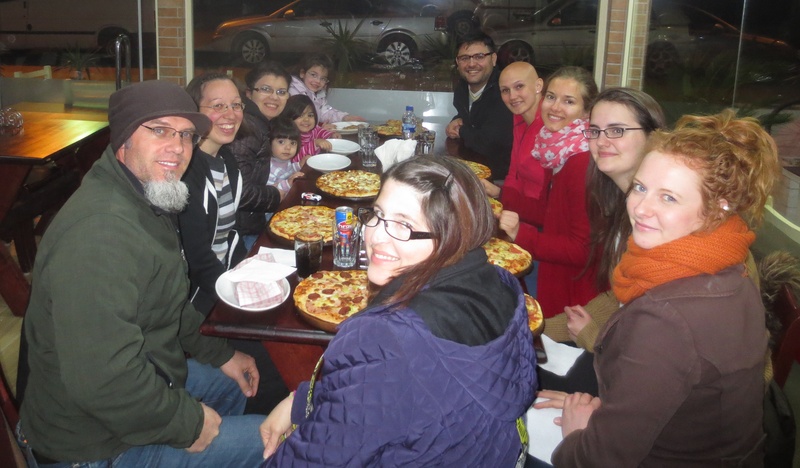 couple of days in Tirana from April 5 – 8, 2015 where they stayed at an international church for our debriefing time there. We as a staff had prayed about going to another place for our debriefing time so we can really disconnect from our previous locations and have a time to process what God had done in our lives over the six weeks we had spent in Albania for the outreach. I am truly grateful for how God had opened up the doors for us to stay at an international church because it was such a peaceful environment that was filled with the presence of God to have this time of debriefing. It was a time to be able to end the outreach well and to bring any reconciliation that was needed to resolve any issues, conflicts and offenses along the team (both students and the staff). Marianna, Lindsay and I helped the students evaluate the DTS outreach as a whole, to prepare the students for returning home and to challenge them to hear God’s voice about what to do after the DTS. It was a time to focus on God’s glory and His faithfulness by spending time in prayer, worship, sharing testimonies, highlights and struggles as each person reflected on their experience as a whole for their time in Albania. The few days that were spent in Tirana was a very encouraging time for everyone, it was a time of refreshment and also a time of celebration (we went bowling) as the team ended the outreach in Albania before we returned to Romania for the end of the DTS. 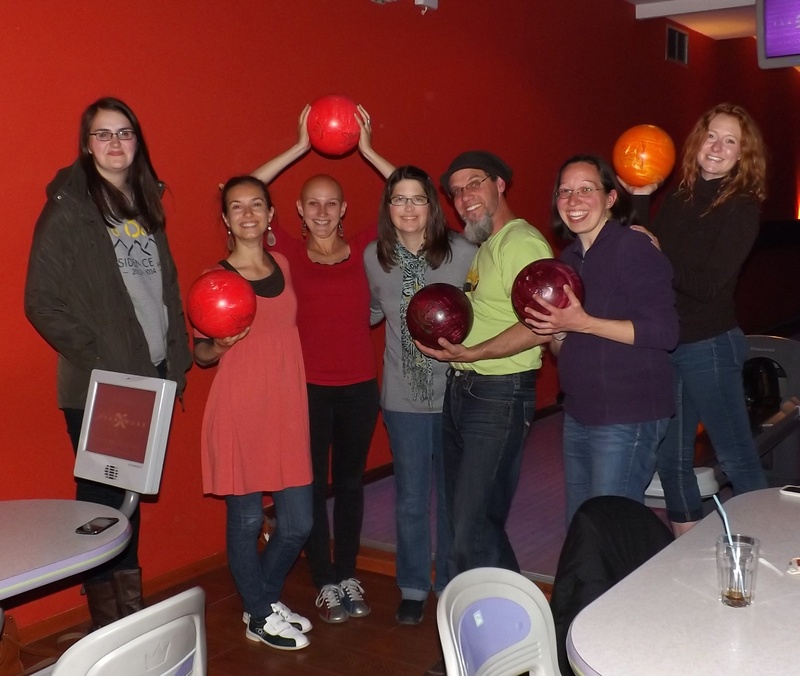 Having some fun at the bowling alley. a great opportunity that God gave me to be able to help the students and myself to process how the outreach was and to also give a time of reconciliation as well. It was very special too that we had a time of affirming each other and praying for each other as well. I definitely feel in my heart that it is extremely important to have a time of debriefing at the end of every outreach because there is a lot that God does during this time so it is really important to be able to process it with the whole team at the end to have a good closure of the outreach. Early in the morning of Wednesday April 8th at 4:25am we had our flight from Tirana, Albania to return to Romania with a 6 hour stopover in Vienna. We arrived in Sibiu, Romania at 3:15pm but I didn’t actually arrive home in Târgu Mureş until almost 9:30pm that day so it was a very exhausting travel day for all of us. On Thursday April 9th we had a time at the YWAM base of doing a final evaluation and debriefing with our DTS leaders Dan and Dorina and then on Friday April 10th we had the graduation which officially ended the Discipleship Training School for 2014/2015. 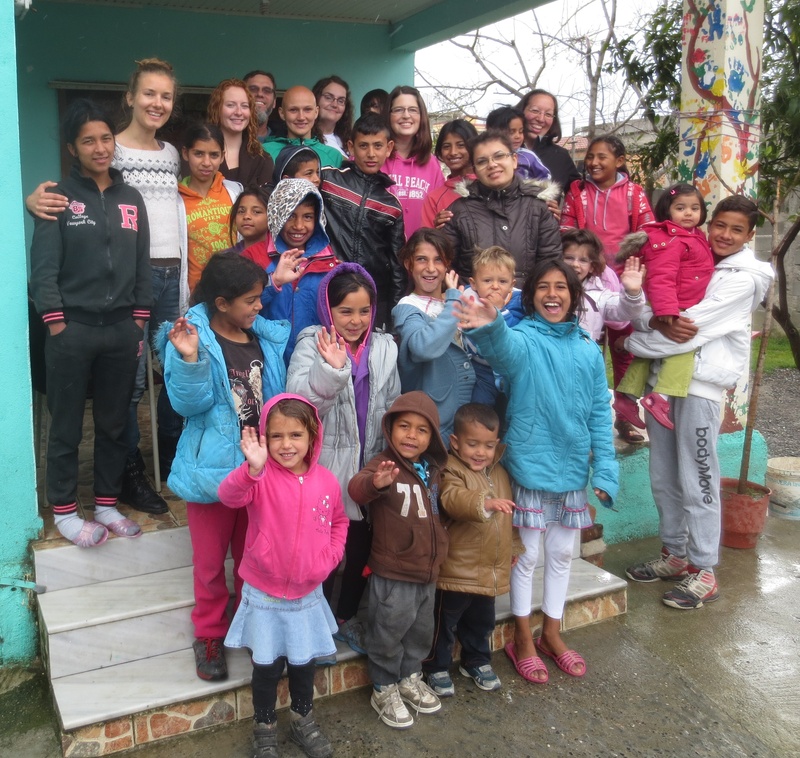 Group picture with the children in Elbasan. for the outreach location one of the countries that came up was Albania. If I can share honestly with you God had spoken to me about another country which was Cambodia (I’ll share more about that in another blog entry called “Shine Conference”) however at the time I felt it might not have been the right time to go there so I needed to submit to the leadership and lay it down at Jesus’ feet and to trust in Him for His perfect timing. In a way it was very difficult for me to go to a nation that my heart wasn’t burning for so I really struggled to have “joy” in my heart to go to Albania because I even felt like I was dreading to go there. This is not easy for me to put it into words but I definitely needed to learn what submission and obedience to leadership is about even if I had received so much confirmation to go to Cambodia. I think it was also very awkward for me at times during the outreach because I was not a student nor was I one of the “leaders” either so it as a very difficult position for me to be at times but I’m so very thankful for what God taught me during this time especially to let go of control and submit to the people who are in authority in my life. Here I am with some of the girls in Elbasan. especially of all the lessons that He taught me throughout those six weeks of staffing for the first time a DTS outreach. The outreach was really great even though it was not the country that God had spoken to me about and I am very grateful for the experience that I got from it especially to be able to staff for the first time which was such a wonderful opportunity that God had opened up for me even if I was not the leader or the co-leader of the team. I am very thankful for the different days that I was given to lead and organize which was a great learning experience for me. I am so very thankful for the areas that I had learned more about myself and how I had grew even though the outreach was very challenging and stretching at times for me. I learned a lot about the importance of reconciliation, to have effective communication with people especially to have discernment and wisdom how to communicate with people, to not be afraid to step out and try new things even if I’m unsure what other people’s opinions would be (e.g. it was my first time to lead a time of communion with a group of people) and just to be more confident in who God created me to be. times I had struggled throughout those six weeks even to the point of one time of considering to give up and leave. My heart is filled with so much gratitude of how very faithful God is in our lives, how very patient and loving He is and how He is constantly there for us in the midst of when we stumble, question and doubt. Our Abba Father is so very faithful, gentle, kind, loving and He is so good. I am also very thankful for all of the prophetic words and prayers that I had received throughout the six weeks that I was in Albania which were so very encouraging to me and they each spoke deep into my spirit especially for the next season that God is leading me into. I am truly thankful for the opportunity God gave me to be a part of the DTS staff team for this outreach and for this class. When the students graduated on Friday April 10th, it was a completion of their DTS journey and for me it was a real honor to be a part of it with them over the last five months.